Many of the changes, effective immediately, are a result of filling CEO Mike Manley's previous roles of leading the Ram and Jeep brands globally. Fiat Chrysler Automobiles CEO Mike Manley is putting his mark on the company with a new leadership team while keeping the structure of the "house," as his late predecessor, Sergio Marchionne, called it, in place. Manley's new executive team -- announced Monday in an email to employees -- maintains the company's management matrix -- a complex, cross-functional structure that assigns two or more roles to nearly all top-ranking executives -- while delegating additional responsibilities to battle-tested executives. Manley, like Marchionne, looked to internal candidates rather than outsiders to fill his team, which he called an "evolution" of the company's leadership. "He hasn't brought anybody else in from the outside," said IHS Markit principal automotive analyst Stephanie Brinley. "This is still all moving around people who have been there as proven leaders within the team. It's interesting and probably good for them right now." Many of the changes, effective immediately, are a result of filling Manley's previous roles of leading the Ram and Jeep brands globally as well as the departure of FCA's former head of Europe, Alfredo Altavilla, who left the company after not receiving the role of CEO as Marchionne, 66, fell ill before dying in late July. Manley, who will lead North America as COO, selected Pietro Gorlier, 55, to succeed Altavilla as COO of the company's Europe, Middle East and Africa region and Reid Bigland, 51, to lead the Ram Truck brand in addition to leading the automaker's Canadian operations and U.S. sales. Bigland previously led Ram in 2013-14. Manley, noting Bigland's experience with Ram, said he "has the right products and the skills to take Ram to the next level." Gorlier, formerly COO of FCA's components business, will retain the role as head of Mopar globally. "Pietro has a proven track record of commercial and industrial expertise with FCA," Manley said in the email. "He is an experienced operator globally, and as a second generation employee whose father worked for Fiat in Italy, Pietro brings a deep respect and knowledge of our operations in Europe." Manley, 54, did not select a direct replacement for global Jeep responsibilities. Instead, the brand will be overseen regionally. Tim Kuniskis, 51, who was overseeing Alfa Romeo and Maserati globally since February, will be head of the Jeep brand in North America. Kuniskis, who has overseen each North American vehicle brand, will maintain his role as global head of Alfa Romeo while Harald Wester will once again take the reins of Maserati. Wester, 60, previously led the famed Italian brand from August 2008 until May 2016, when Marchionne appointed Bigland, and later Kuniskis, to lead Maserati and Alfa Romeo globally. Wester will maintain his role as chief technology officer. "It's actually fairly clever putting the chief technology officer also in oversight of Maserati," Brinley said. "It further reinforces that the high technology is going to come through that premium brand first and filter its way through." In the email, Manley said the new management team is an "evolution" that he believes will best help the company complete its newest five-year plan. "The next five years will continue to be extremely challenging for our industry, with tougher regulations, intense competition and probably slower industry growth around the world," he wrote in the email. "Nevertheless, with a laser focus on execution and a continued flexibility that allows us to adjust as circumstances change -- something that has become one of our most unique characteristics and strengths -- we have a clear line of sight to achieving our five-year ambitions." FCA's leadership team, including Marchionne and Manley, announced the five-year plan June 1 in Italy. It included targets of adjusted earnings before interest and tax of between 13 billion and 16 billion euros and doubling profits through 2022 with the help of 19 new "white-space" products added globally across five brands, with 10 new electric vehicles. Michelle Krebs, Autotrader senior analyst, overall expects the executive changes to be seamless for the company, as the executives have all been working with one another for years. "What struck me is these are obvious, solid choices that will carry on, be seamless in terms of a transition," she said, noting the Jeep and Ram appointments particularly "make a lot of sense." Wall Street seems to agree with the smooth transition. FCA shares rose 2.7 percent to close at $17.99 in New York. Steve Beahm, 55, is head of Mopar in North America, while continuing in his role as head of the Chrysler, Dodge and Fiat brands in North America. Scott Garberding, 54, is named global chief manufacturing officer. Garberding has nearly 30 years of industrial experience at FCA, including leading North American manufacturing and most recently leading global quality. He succeeds Stefan Ketter, who at the beginning of this year notified the company of plans to step down. The company's Comau robotics and Teksid castings firm will report to Garberding. 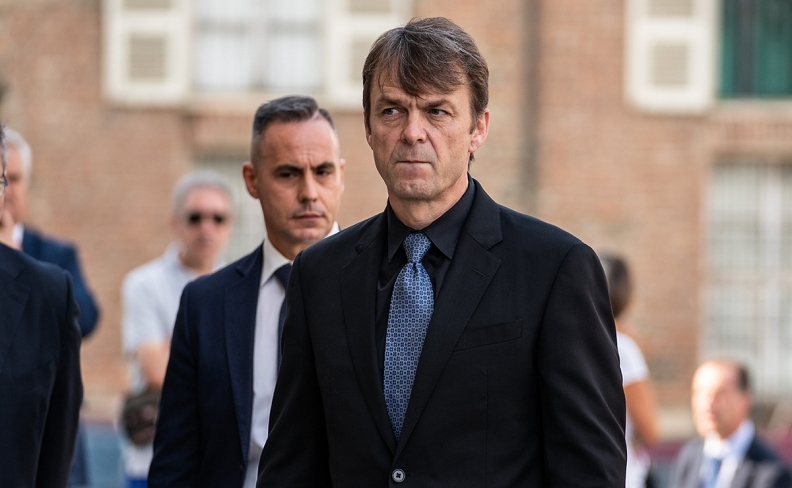 Ermanno Ferrari is named CEO of Magneti Marelli. Ferrari most recently served as the head of Magneti Marelli's lighting division, its largest business unit. He will join the Group Executive Council. Richard Schwarzwald succeeds Garberding as global head of quality. Schwarzwald most recently led FCA's quality organization in Latin America and previously held senior leadership positions at several automakers and suppliers. Mark Champine will serve as head of quality in North America. Geraldo Barra is named head of quality in Latin America.